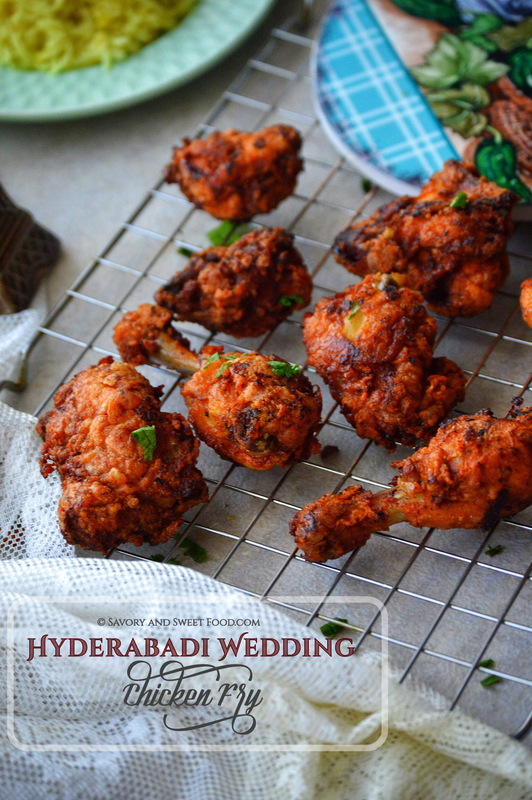 A delicious fried chicken which is usually served during Hyderabadi weddings. 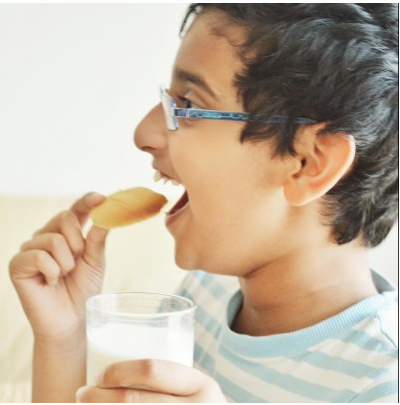 I have never been to a Hyderabadi wedding but heard a lot about the unique, royal dishes they serve during the function. I saw this shadiyon wala red chicken fry (as how it is popularly known) recipe in YouTube recently and I knew instantly that this is going to be a huge hit. I made a few changes from the original recipe based on what I had in my kitchen and it turned out absolutely stunning. You can find the original recipe video here. Red food color is totally optional. I didn’t add. You can add if you want to make it look more appealing. Fry in medium low flame till the chicken gets cooked inside (about 15 minutes), then finally increase flame to high for 5 minutes till the coating gets crisp. Marinate the chicken with above mentioned ingredients. Keep for minimum 2 hours or overnight. Combine all the coating ingredients and place in a bowl. Before frying, dip the chicken pieces in the coating mix, shake off excess and deep fry till crisp. Before frying, dip the chicken pieces in the coating mix and deep fry till crisp. Red food color is totally optional. I didn't add. You can add if you want to make it look more appealing. Omg this recipe is so perfect! It seems to have all the flavours that I enjoy.